Canvas Giclee Printing is a print firm that is ready to go to work for you and your company. 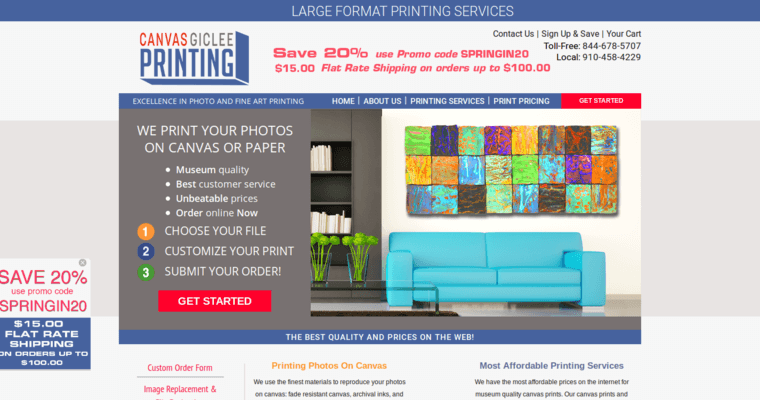 This is a firm that provides a wide range of print services to individuals and companies. You will get personalized service no matter the size of your job. Their specialty is taking an image or photograph and printing them on to a canvas background. This is a great way to elevate your photograph and add texture to it. 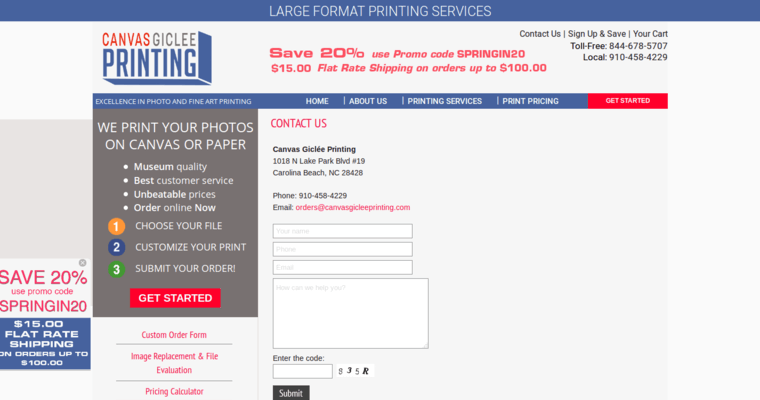 Canvas Giclee Printing offers you various services and excellent customer service. A member of their staff is waiting to help you through the design and ordering process. If you have questions or need help at any stage, there is always some ready to help. On their website, you can get an idea of their capabilities and maybe some ideas for your own project. It is a great way for you to contact them too.